If you are looking for a lemon juicer, there are three main considerations to determine if you need a lemon squeezer, a manual citrus juicer or a power juicer to handle your juicing needs. How often do you plan to use it. 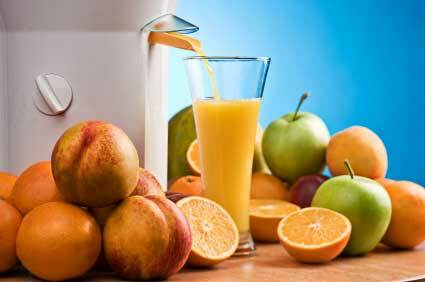 How much are you willing to spend on a juicer. 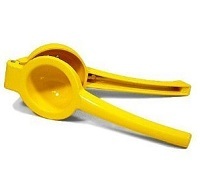 If you are just looking for an occasional juicer to get some juice out of some fruit for salad or to drink by the glass, then an inexpensive lemon squeezer will do just fine. It’s perfect for getting juice from a half or maybe just a slice of a lemon. If that is all the lemon juice you need, this is the perfect choice. If you are looking to juice more than a few lemons, but are looking for a simple affordable alternative, the Black & Decker Citrus Juicer is a good choice. It is compact and easy to clean and can make a small amount of juice from a backyard lemon tree quickly without a lot of effort on your part. 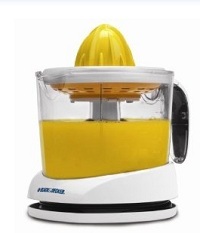 You can easily juice a whole bunch of lemons with this juicer without spending a lot of money on a juicer. By far the best manual citrus juicer on the market is the Hamilton Beach Commercial Citrus juicer. If you are planning on needing a lemon juicer on a regular basis and only the best will do, then this is the one for you. Click here to read our complete review of this juicer. 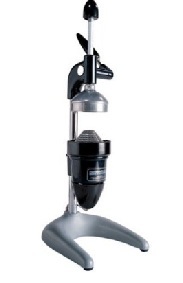 This is a heavy-duty juicer and is built to last for a really long time and deliver juice for years to come. It can do many lemons quickly and maximize the amount of juice that is extracted from each lemon. If you plan on making a lot of lemonade and think of this as a great investment, you won’t be disappointed with this choice.